FiveStone Churches offers a few suggestions--in the form of a seven-point convictions list--for the local church in the midst of cultural upheaval and broad heartburn. The seven points are to protect churches in the FiveStone network. From what? From narrow perspectives that feed divisions and from cultural factions that detract from the church’s primary responsibility to make disciples of Jesus Christ and to baptize and teach those disciples. Church shepherds should speak to cultural issues from the Bible and for the proclamation of the gospel. Even as the the culture in the U.S. and Canada shifts, the church's core mission must not shift with it. The cost of acting on the church's mission is rising. Regardless, Christ works primarily through his salvation gospel presented in his local church. That's the source of lasting change in individuals and in culture. We will focus on Jesus Christ—through His gospel—as the change-maker in the human heart, leading to authentic, God-pleasing relationships. We will speak truth in biblical love, which can be expressed in firmness as well as in tenderness as the need requires. We will not allow cultural issues to set the local church’s agenda or define the local church. The church is to be gospel-centered, not issues-centered. Cultural issues may be addressed as they impact the church’s core responsibility of disciple-making. We will be deeply wary of joining with non-evangelical voices and, while we may quote or reference them, we will clearly state that we do not necessarily advocate their causes or agree with their rhetoric or positions. We will diligently research all sources so we accurately reference their views. We will consider valid perspectives on various sides of cultural issues, but will present perspectives from biblically sound followers of Jesus Christ. We will not flatten complexities of cultural issues; these issues will not be distilled into stereotypes or simplicities. We will be diligently thoughtful in issues of race, ethnicity and other human relationships. We will seek to understand varied perspectives, but our views will comply with our best understanding of the breadth of the Scriptures' teaching. 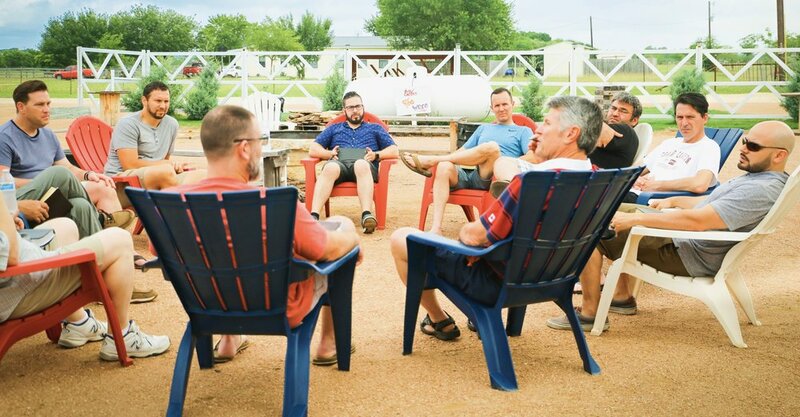 The local church elders have unique responsibility and authority to shape the church’s teaching and preaching. A plurality of elder voices from the pulpit and throughout the church are to forge biblical and thoughtful responses to cultural issues. Elders will focus on Doctrine, Discipline, Direction and Discipleship in the local church. The complete document is linked here. A new category in the FiveStone Churches network welcomes local churches to join FiveStone's work in church planting, strengthening and renewal. The new category—Supporting Church—is offered in addition to the existing Partner Church category. Harvest Bible Church of Westland, Mich., is the first FiveStone Supporting Church. Check out a blog article here for more about FiveStone's relationship with Harvest Bible Church. Supporting Churches embrace FiveStone's Principles of Doctrine, Governance and Practice. Each Supporting Church will receive a variety of benefits, including shepherd relationships, discounted teaching, sharpening and assessment services, as well participation in FiveStone's annual Rock Conference. Supporting Churches will contribute financially to the work of the FiveStone ministry, in accordance with each church's financial strength and desire to invest in church planting, strengthening and renewal. 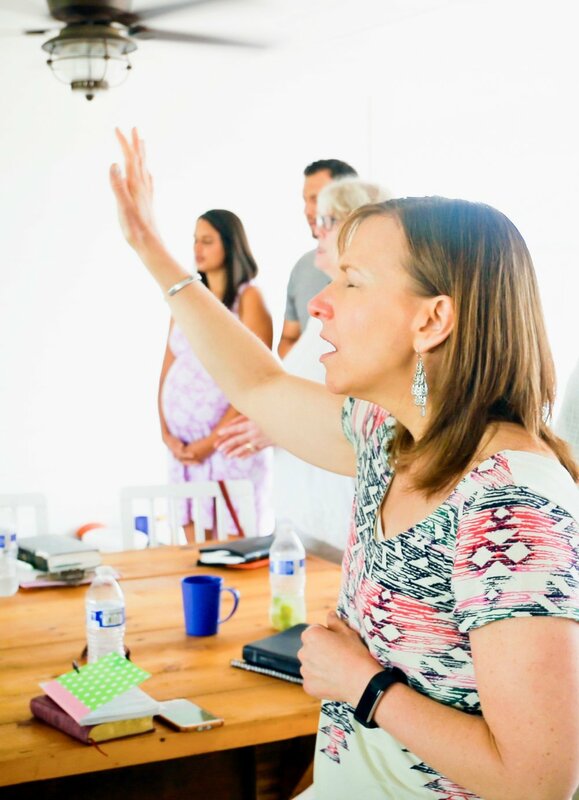 Elders and elders' wives gathered early in October for a weekend of teaching and sharpening for their shepherding roles in three Canyon Bible Churches in the Arizona towns of Prescott, Prescott Valley and Verde Valley. Gordon Zwirkoski led the weekend teaching sessions for the elders, while Joyce Zwirkoski led sessions for elders' wives. The original core group of Canyon Bible Church in Prescott consisted of 40 people 10 years ago. SInce then, the original church moved to Prescott Valley and planted churches in Prescott and Verde Valley. Click here to see more photos from the weekend. Welcome Crossroads Church of Sturgeon Bay, the newest partner in the FiveStone Churches network. Crossroads is only about 15 months old, but the church already has a reputation for evangelism and good works. How so? One example: The people of Crossroads regularly reach out to serve and to pray in-person with the town's police officers and firefighters. Brian didn't see a need for network relationships when he and the core team planted the church, but he does now. We need coaching, accountability, wisdom for things we don't know. We need to fill the gaps for things that we lack. None of us is 100 percent complete alone. That’s why we wanted the community of a network of like-minded churches. FiveStone Churches brings that to us. I really like the FiveStone emphasis on working to Edify, Protect, Encourage and Support the shepherds. That’s exactly what we were looking for. Crossroads gathers for Sunday morning worship in the city’s high school. Sturgeon Bay is in southern Door County, a hub for tourism in the Midwest. Learn more about the Crossroads Church of Sturgeon Bay here. Steve and Stacy Galt are returning to their home town of Chanute, Kansas, to plant Grace Community Church with FiveStone Churches. Planting in Chanute brings Steve and Stacy back to the town where they were born and raised and built their relationship. We really care about the people in Chanute, said Steve. We're looking forward to coming home. Chanute could use another church that faithfully preaches, teaches and lives the Scriptures. Seeking Uncompromising Biblical Faithfulness – recognizing the need for God’s guidance and instruction via the Scriptures, without assuming that the church will be biblical because it affirms the Bible’s authority. Living Gospel-Centered, Worship-Fueled Lives – the gospel is not only the way into Christianity, but it is the fuel for faithfulness and obedience. The deepest and most enduring joy in life comes through what Jesus has done. This leads to faithfulness and obedience. Pursuing Authentic Christian Community – In many churches, people look good on the outside while they might be struggling on the inside. The church should be a place where everyone is allowed to be open, honest and real about the struggles of life. Spreading Joy in the Biblical Mission – the church should be made up of missionaries in the community. The church should spread the joy and worship of relationship with Jesus Christ. The church is to work as instruments within the context of the local community. 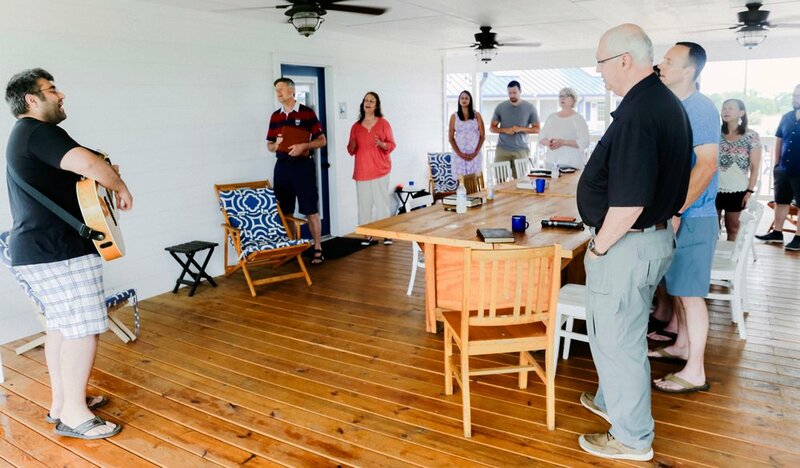 Several families and individuals have committed to building the core planting team in Chanute, and several others have committed to supporting the church plant through prayer and financial gifts. The new church anticipates hosting its first public worship service in the fall. Steve, Stacy and their two children—Hannah and Josiah—expect to move to Chanute in August after closing their ministry responsibilities at their church in Poughkeepsie, N.Y.
Steve has more than 10 years of increasing pastoral ministry experience at two churches; he has a master of divinity degree from Luther Rice Seminary, a master’s degree in biblical languages and exegesis from Wheaton College and a bachelor’s degree in theology from Moody Bible Institute. To read a blog article about the Chanute church plant, click here. Encounter Church—the first FiveStone plant in Canada—is coming to Kingston, Ontario. The city of 125,000 in eastern Ontario is home to the Canadian Forces Base and Queen's University. Planting pastor Andrew DeBartolo has served as an associate pastor at churches in Kingston and in Vaughn, Ontario. Kingston needs another gospel-preaching church, he said. Our vision for a new church is focused on loving the Lord and making disciples of Jesus Christ. We want to encounter Him. Andrew said he was not interested in doing the work of church planting on his own, which is a primary reason why he pursued a relationship with FiveStone Churches. I value mentorship and accountability. I like the core values of FiveStone Churches and I like being a part of a network of churches that values relationships. I'm grateful to have those relationships as we grow the church plant. Encounter Church expects to emerge with its first public worship service in the spring. Andrew has a bachelor's degree in pastoral studies from Tyndale University College and Seminary in Toronto. He and his wife, Kathryn, have two sons, Malakai and Levi. More about Encounter Church is available in a blog article here and on the church's website here. The Austin plant will be formed in four DNA strands: Rooted in the Gospel (Romans 1:16-17); Driven by Discipleship (Matthew 28:19-20); Engaging All to Win Some (1 Corinthians 9:22); and Cultivating Unity in Diversity (Ephesians 4:1-6). Why plant a church? The best way to spread the gospel and advance God’s kingdom is to plant churches. Church planting brings the gospel to new places, peoples, and neighborhoods. God began impressing this burden upon me about four years ago and He made it clear that Austin was the location. Why Austin? Austin is a great city with great diversity. There are many gospel-centered, evangelical churches in Austin, but there is a lack of evangelical churches on the east side of Austin. The east side is the most diverse part of the city. It has Caucasians, Latinos, African Americans, and Asian Americans across several generations and groups. I want to see God transform individuals, families, and neighborhoods. I want to see people across cultural and economic backgrounds worshipping the one true God. How did you land on the church plant’s four DNA statements? The first strand of our DNA, Rooted in the Gospel, is born out of the conviction that believers are dependent on the gospel of Jesus (Romans 1:16-17). Christians do not grow out of the gospel. We must keep the gospel before us (Hebrews 2:1). The second strand, Driven by Discipleship, stems from the conviction that the Christian life is a life of discipleship. The Christian life is more than attending a local church on a Sunday morning. A Christian follows Jesus (Matthew 28:19-20) and is being transformed into His image (Romans 8:29). This requires action. Believers are called to live life with other saints and to build each other up. I want to be a church known for its discipleship (Ephesians 4:11-16). The third strand, Engaging All to Win Some, derives from two realities. First, evangelism is not primarily an activity that only the pastor performs on a Sunday morning. The believers must engage others in daily life. Believers must have relationships with non-believers and speak the gospel. Second, if we engage many types of people, we need to learn and appreciate their cultures (1 Corinthians 9:22). The fourth strand, Cultivating Unity in Diversity, emphasizes unity among believers (Ephesians 4:1-6 and Philippians 2:1-5). Unity will not come naturally in a church that is diverse ethnically, culturally and economically. We need to work at it. The gospel transcends diversity. We want to be diverse and united (1 Corinthians 12:13). Why plant with 5Stone Churches? FiveStone sees church planting as a process requiring preparation and patience. The leaders of FiveStone care for individual planters. They work hard to prepare and coach before the launch of the church plant. Why would you want to link with a network? Following Christ should not be individualistic. I want our church to be connected to other churches and individuals. This serves as an example of the Christian life. There are many benefits to being part of a larger body. I want to have personal relationships with other church leaders and local churches. 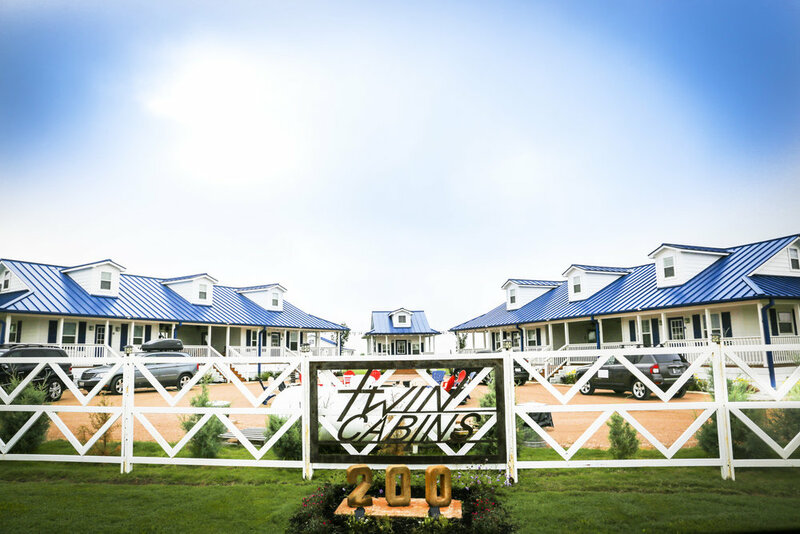 Click here to read a blog article about the Austin plant. City Centre Baptist Church pastors, elders, deacons and their spouses retreated for a weekend of renewal, teaching and focus on November 1 and 2, 2013. Retreat theme: Devotion, Motivation, Urgency . . all with the Lord and all for the Lord. Click here to see photos from the weekend. FiveStone Churches men enjoyed a fruitful teaching trip at the Biblical Theological School in Novi Sad, Serbia, and at the annual missions conference of the Union of Baptist Churches. Many thanks to Ondrej Franka, president of the Union of Baptist Churches in Serbia, for extending the invitation. Check out a full album of photos here. Photos from The Rock Conference 2013 at Calvary Bible Church in Ypsilanti, Mich.
Theme for the day: Building commitment to biblical success in the local church. A terrific day with Kent Hughes as well as pastors and leaders from 21 churches and Bible colleges. Also pastors from a church in Canada, who made The Rock Conference an international event. I had never heard of 5Stone Churches before this conference, so I didn't know what to expect. I did know of Kent Hughes, through his books and commentaries, so I decided to attend. I cannot tell you how happy I am that I did. This meeting was just what I needed to hear, to get me refocused on what matters to the Lord. Coming from a biblically conservative background and ministering in an African American community is a daunting task. From time to time I have periods of discouragement and I would ask myself the same questions that Kent shared in his introduction. In fact, by the time he was done with the session, I felt he had been "reading my mail." His insights on what every leader should be setting as the goal for success was beneficial to me, at a time when I was being attacked by the "numbers syndrome." Thankfully, the Lord knew what it would take to snap me out of this, and He orchestrated this Rock Conference just for me. As a bonus, reading "Liberating Ministry from the Success Syndrome" served to reinforce what I heard during the sessions. My heart is rejoicing. My prayers are focused. My discouragement is gone. My determination to continue has never been stronger. Welcome to a new partner in the FiveStone Churches network: Christian Fellowship Church in Itasca, Ill. The church is devoted to Worship, Serve and Grow in relationship with Jesus Christ and others. Said Senior Pastor Lucas O’Neill: Our partnership with FiveStone Churches will give our fledgling church a chance to get better and stronger. It’s hard to do that by ourselves. We don’t want to do that work alone. Teaching Christ: learning what the Bible says and how it points us to redemption in Jesus. Reaching Children: passing to our children a love for Jesus and each other. Building Friendships: sharing our lives through lasting friendships in the family of God. Addressing Needs: in the humility of Christ, putting others’ interests before our own by identifying and addressing practical needs. Praying Together: interceding for life transformation and practical needs. Sharing Christ: finding ways to communicate the gospel to unbelievers in our community. Lucas and his wife, Tina, have one daughter and two sons: Raquel, 9 years old; Elias, 6; and Lincoln, 3. In addition to his pastoring role, Lucas teaches homiletics as an adjunct professor at Moody Bible Institute in Chicago and is working on a doctor of ministry degree in preaching at Gordon-Conwell Theological Seminary in Boston. Click here to read a blog article about the relationship between Christian Fellowship Church andFiveStone Churches. FiveStone Churches is delighted to welcome Calvary Bible Church in Ypsilanti, Mich. as a partner church to the FiveStone network. Calvary is a vibrant congregation that is making, baptizing and teaching disciples. Brian Jones, Calvary’s senior pastor, will join the Elders Council governing board of FiveStone Churches. So . . . what’s Brian about in local church ministry? I love studying the Scriptures and helping people understand and apply them to their lives, he said. Starting a new church can be lonely as you form your core group and are doing all kinds of ministry. 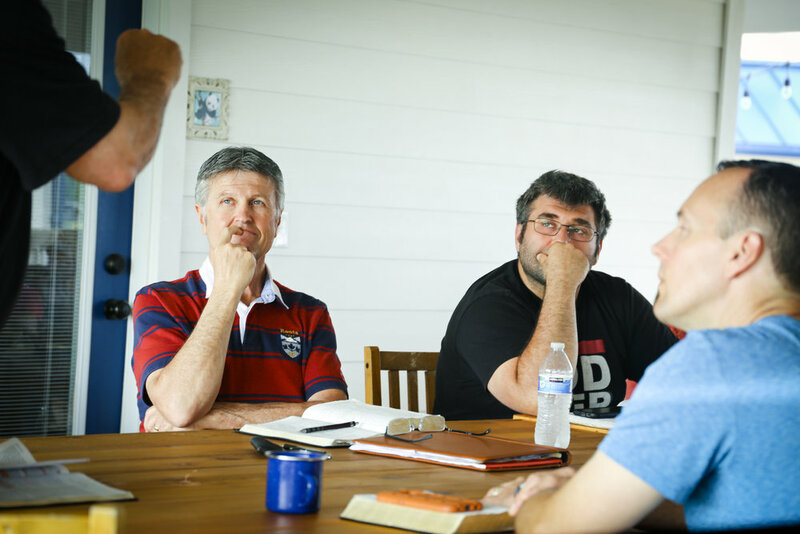 It’s difficult to improve your skills in evangelism, preaching, discipleship and administration without mentors who can pass on to you what they've learned. Having done all these things alone, I know the power of participating in a network of like-minded churches. Calvary’s relationship with FiveStone Churches will give us an opportunity to help plant new churches. 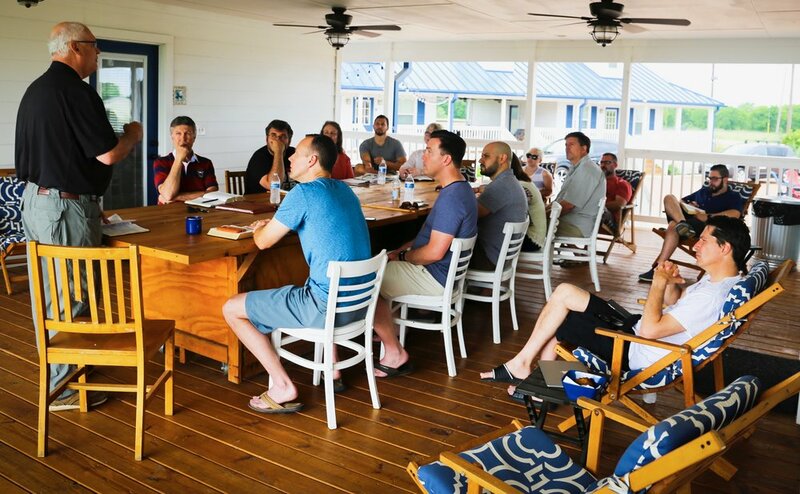 And, because FiveStone connects us with leaders of other established churches, we hope to learn from those who are serving the Lord skillfully and to pass on what we've learned as well. We're excited to be part of this new network for the glory of God. Read more about Brian Jones on the Our Leadership Team page on the FiveStone Churches website. Check out Calvary Bible Church's website for more about the church.